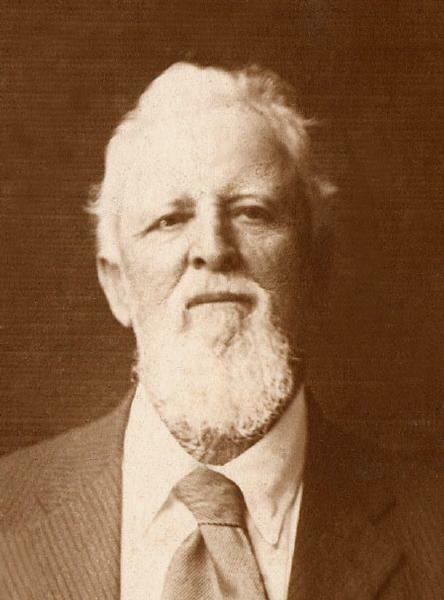 Solomon William Wood was born on 26 January 1849 in Montgomery County, Alabama. When the Wood family traveled to Texas by water in 1850, Mary Jane LeGrand Wood and children joined them on the steamer at Selma. It is an educated guess that for some time prior to the relocation she and the children were staying with Letitia Ann McNair (daughter of Green's cousin Ashley Wood) who raised Mary Jane's sister Margaret LeGrand. Green Mark Wood and Mary Jane LeGrand appeared in the US federal census of 1 June 1850 in Walker County, Texas, near Danville.. Other members of the household included Solomon William Wood, Rush Brevard Wood. On Sunday, 30 June 1850, Green Wood recorded in his plantation daily account book: "Green M. Wood & wife & children & Willis B. Wood wife children & Duncan G. Campbell all Dined with us to day at the new place." On Sunday, 4 August 1850, Green Wood recorded in his plantation daily account book: "As usual Green & his wife & children spent the day with us." On Sunday, 8 September 1850, Green Wood recorded in his plantation daily account book: "A very pleasant day. Green & Willis & their Familys Spent the day here." On Sunday, 22 September 1850, Green Wood recorded in his plantation daily account book: "A beautiful day, all in fine health. Mr & Mrs Carothers, Green & Wife & Willis & wife & all their Children & Mr Powell spent the day with us." On Sunday, 3 November 1850, Green Wood recorded in his plantation daily account book: "G. M. & W. B. 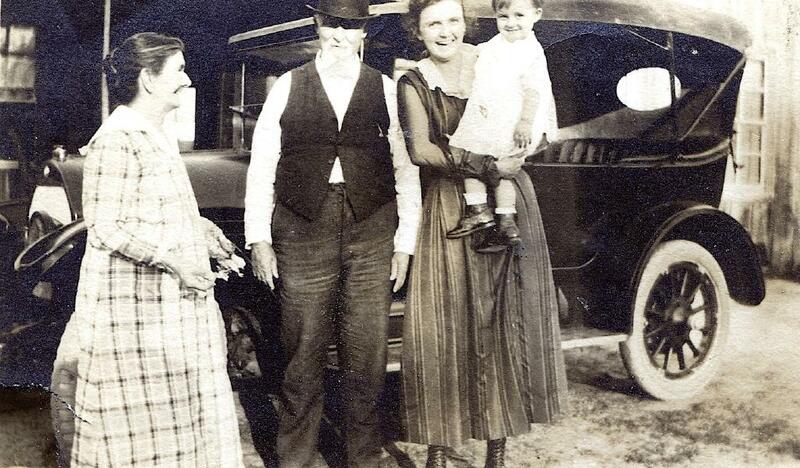 Wood & their familey's with us & some Gentlemen from Grimes County." Sam Reed entered into an agreement on 31 December 1850 with William M. Barrett to do all the brick work of Austin College, for the sum of $750.00, to be completed by 1 January 1852. The building, whose cornerstone was laid on Saint John's day, 24 June 1851, was constructed of soft sand-molded bricks forged at the state penitentiary. It still stands as "Austin Hall" at Sam Houston State University in Huntsville. Green Wood's son Campbell attended Austin College from 1855 to 1857. 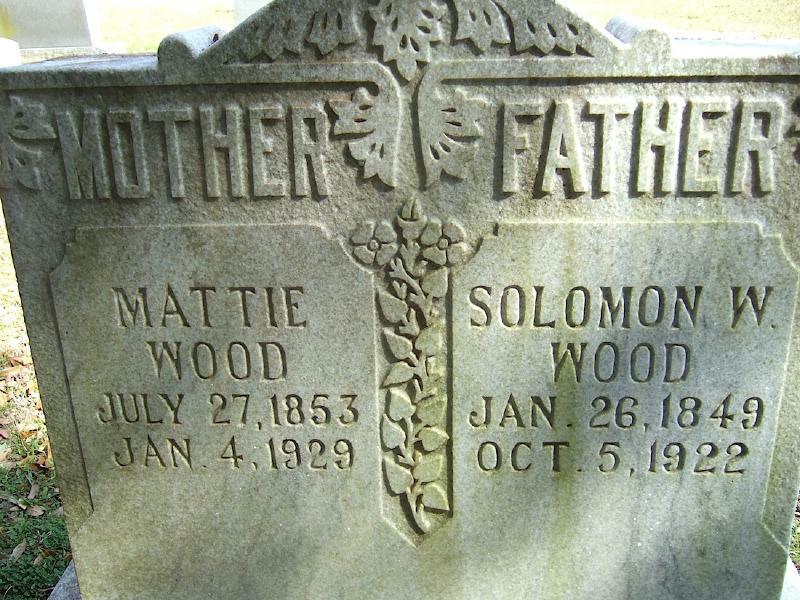 Sam Reed's daughter Mattie married Green Wood's grandson Solomon Wm Wood in 1873, and the following year Sam's daughter Katie married Green's grandson Rush Brevard Wood. On 28 November 1851, Green Wood "Paid Daniel Baker $50, my subscription to Austin College." Evelina Wood wrote on 14 May 1855, to her daughter Lizzie Powell, undergoing treatment for cancer in Murfreesboro, Tennessee: ". . . Mary Jane has another son born the 8th of May she call him Milton Le Grand, he favors all the rest, will be very dark-skinned -- Rush & Solomon go to school, they are fond of it. Mary Jane is doing finely, Leah waited on her all last week. . . ." Letter in private collection of B. M. Henwood, descendant of Wm Wood Powell; original transcription by R. E. Reichardt. Green Mark Wood and Mary Jane LeGrand appeared in the US federal census of 1 June 1860 in Danville PO, Walker County, Texas. Other members of the household included Solomon William Wood, Rush Brevard Wood, Robert Cummings Wood, Martha Frances P. Wood, Milton LeGrand Wood and George Scovell Wood. Mrs. Mayfield, Mrs. Hughes, Mrs. Spiller, Mrs. Sessum, Miss Sarah L. Davis, Mrs. Green M. Wood, Mrs. J. M. Leivi, Mrs. Geo. Redding, Mrs. Major Redding, Mrs. Maj. Green Wood, Mrs. McGarr, Mrs. Charles Abercrombie, Mrs. Tryler, Mrs. Dr. Carr, Mrs. W. B. Scott, Miss Thompson, Mrs. Tabb, Mrs. Richard Williams, Waverly; Mrs. Col. Campbell, do; Mrs. Dr. Campbell, do; Mrs. Dr. Scott, do; Mrs. Col. Jno. Hill, do; Mrs. John C. Abercrombie, do; Mrs. Laura A. Scott, do; Mrs. Wm. B. Wood, Danville; Mrs. Wynne, do; Master Solomon Wood; Major Green Wood's servant[s], 31 doz. eggs; Mrs. Green Wood, cash, $10; Miss Sarah L. Davis, $10; Mrs. Dr. Stewart, $5. Green Mark Wood and Mary Jane LeGrand appeared in the US federal census of 1 June 1870 in Huntsville, Walker County, Texas. Other members of the household included Solomon William Wood, Rush Brevard Wood, Robert Cummings Wood, Martha Frances P. Wood, Milton LeGrand Wood, George Scovell Wood, Campbell Clark Wood and Green Alexander Wood. He was a farm hand, according to the 1870 census. A tintype portrait was made of Solomon Wood about 1873. 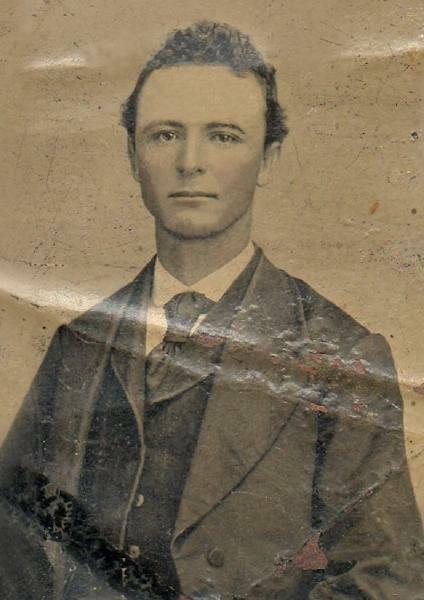 He married Martha Clarana Reed, daughter of Samuel Reed and Martha Frances Harrison, on 18 June 1873 in Walker County, Texas. Solomon William Wood appeared in the US federal census of 1 June 1880 in Walker County, Texas. Other members of the household included Martha Clarana Reed, Mary Jane Wood, Solomon William Wood Jr., Green Alexander Wood and Fannie Goree Wood. Solomon and Mattie Wood and their children posed for a photograph in 1893. With all their children in town for Green Mark and Mary Jane's 50th wedding anniversary celebration in April 1896, it is likely that this was the occasion for the photograph of their five surviving sons, treasured more than a hundred years later by all of their descendants. The following appeared on 2 November 1898 in The Daily Examiner: Solomon W. Wood, member of the Farmers' Mutual Insurance association, has been paid his money for the loss of his building which burned a short time ago. The following appeared on 23 February 1899 in The Daily Examiner: Messrs. Solomon and Rush Wood, of Dolph, are here. Solomon William Wood and Martha Clarana Reed appeared in the US federal census of 1 June 1900 in Anderson, Grimes County, Texas. Other members of the household included Rush Brevard Wood, Henry Campbell Wood, Walter Warren Wood, Homer LeGrand Wood, Ella Lynn Wood, Solomon William Wood Jr. and Elizabeth B. Hurst. It is worthy of note that birth information for the entire family is extraordinarily inaccurate. The following appeared on 23 May 1909 in the Galveston Daily News: G. A. Wood arrived Friday and spent the day with his parents, Mr. and Mrs. S. W. Wood. The following appeared on 13 June 1909 in The Galveston Daily News: (Richards) Mr. and Mrs. G. A. Wood and their little daughter, Edith, are guests of mr. and mrs. S. W. Wood. Solomon William Wood and Martha Clarana Reed appeared in the US federal census of 15 April 1910 in Grimes County, Texas, living next to their daughter Mary Easley.. Other members of the household included Ella Lynn Wood. He was proprietor of a hotel, according to the 1910 census. 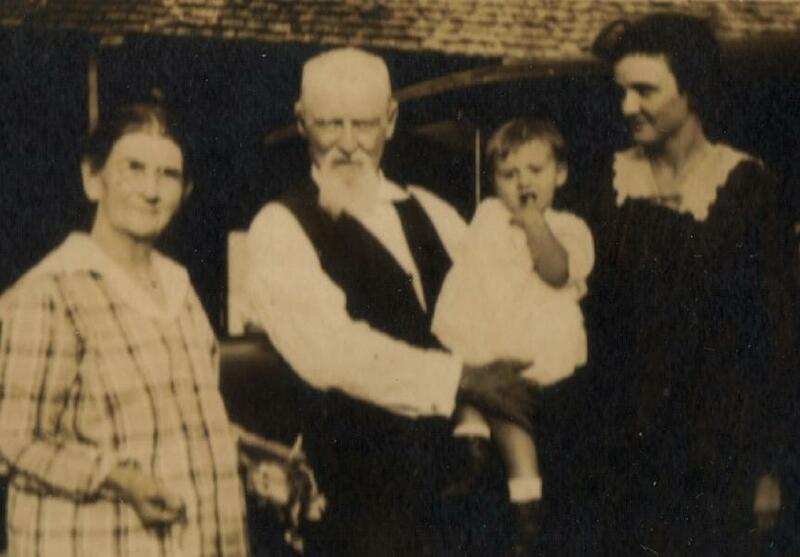 Snapshots were taken of Mattie & Solomon William Wood, about 1919, with granddaughters Eloise Cecil and Fannie Kate Wood. 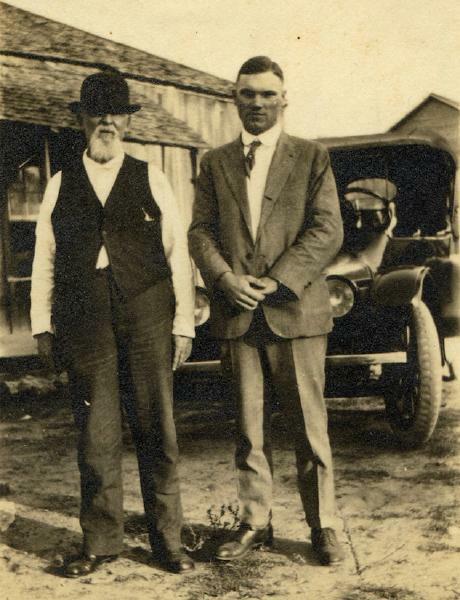 A snapshot was taken of Alfred Wilder Burnside and his father-in-law Solomon Wood, about 1919. Rush Brevard Wood and Claudia Gertrude Bay appeared in the US federal census of 1 January 1920 in Richards, Grimes County, Texas. Other members of the household included Solomon William Wood, William Boyd Wood, Walter Warren Wood, Martha Clarana Reed, Henry Campbell Wood, Claude Irvin Wood and Myrtle Ernestine Bay. He was a clerk (general farm), according to the 1920 census. in January 1920. 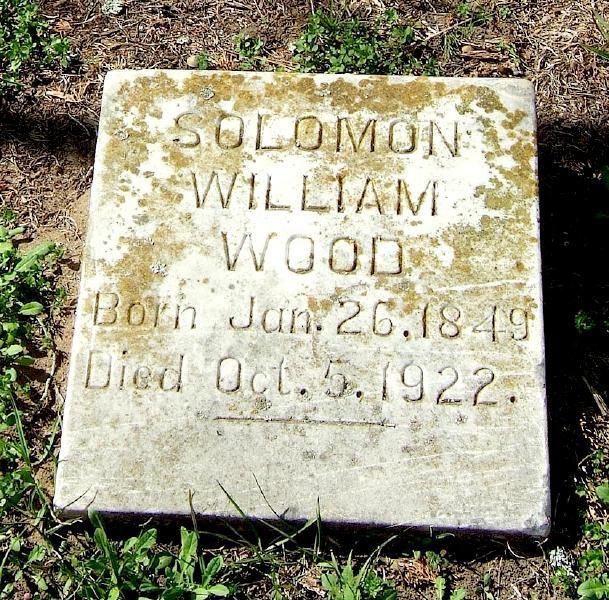 Solomon William Wood died on 5 October 1922 at age 73. His wife Martha Clarana Reed became a widow at his death. A single grave marker identifies the graves of Martha Clarana Reed and Solomon William Wood.